The absinthe is what I love in the Sazerac. Once I tried this cocktail I was hooked. candy coated pieces that are sold by the pound at Brocato’s. 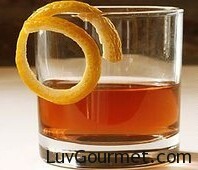 My Old Fashions are dry, yours are sweet; I do not alter The Sazerac.